The software distributed by JoomTut - JoomTut.com (the "products") consists of components, modules, plugins and templates for the Joomla! application framework (also identified as "Joomla! extensions" as a whole). Limited product usage: The products are not time-limited but you are just allowed to use one product for one website (one domain ). Product modifications: You are authorized to make any necessary modification(s) to the products to fit your purposes. In this case, you must also not change or remove the copyright information in the header of the XML descriptor file or in PHP files. Unauthorized Use: Although the number of downloads are limited, you can not be shared. Sharing or other methods are strictly forbidden and may result in termination of your purchase and support. Updates: All of the products are designed for the latest stable (LTS/Long Term Support) version of Joomla! unless stated otherwise, but we can give no guarantee, that the products will run with future versions of Joomla!. Delivery: All purchase will be immediately activated after we have successfully received your payment. Once a purchase is complete, the download link will be automatically sent to the email address specified during checkout. If you do not receive it, please contact us as soon as possible. Ownership: You may not claim intellectual or exclusive ownership to any of the products, modified or unmodified. All products are property of JoomTut - JoomTut.com. The products are provided “as is” without warranty of any kind, either expressed or implied. In no event shall our juridical person be liable for any damages including, but not limited to, direct, indirect, special, incidental or consequential damages or other losses arising out of the use of or inability to use the products. Return/Refund Policy: Since we are offering non-tangible irrevocable goods we do not issue refunds after a subscription is purchased, which you are responsible for understanding upon purchasing. Please make sure that you have carefully read all relevant documentation and tried out the demos or free version. Warranty: We guarantee the product will work as the demo with default Joomla! stable version. We can not guarantee they will function with all 3rd party extensions, add-ons, plug-ins, softwares,... Templates as there is currently no certification process for such extensions or templates. All JoomTut products are tested to work on all major browsers and have been clearly noted on each product. Support: We offer commercial extensions "as is", with no implied meaning that they will function exactly as you wish or with all 3rd party extensions. 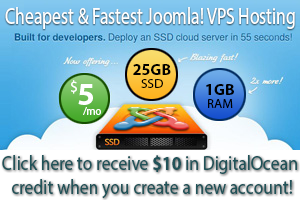 Further, we offer technical support via email or otherwise for installation, customization, administration of Joomla!. All support questions should be send via email and in some cases, you must allow us to work directly on your website, where you are using our products. If this License & Terms of Service is not suitable for your project, other License & Terms of Service options are available. Please get in touch to receive more information.